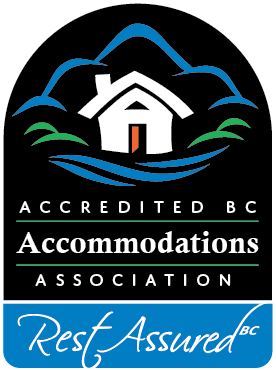 Find BC Bed & Breakfast accommodation by searching for an activity you enjoy or certain features that you require in your accommodation of choice. Are you looking for a British Columbia Bed & Breakfast or self-catering lodging near a golf course or an adult-oriented Bed & Breakfast? Perhaps you’re participating in a marathon or want to do a wine tour of Vancouver Island or the Okanagan wine regions? Or you’re planning a business trip to Vancouver or Victoria, or are exploring British Columbia museums, art galleries, or native history? Some of our B&B members or self-catering hosts offer pet-friendly accommodations so you can travel with your beloved pet, or have made particular efforts in being green and eco-friendly properties. And of course British Columbia is known for its many outdoor recreational opportunities where ever you go in the province. All of the hosts at our BC Bed & Breakfasts will be able to provide you with whatever information you need to fully enjoy the activities available in their particular part of British Columbia, Canada .